Welcome to the 2017 offseason. We’re 15 days after the Super Bowl, so there’s been enough time to put the game, great as it was, in the rear-view mirror. We’re 10 days out from the start of the combine. So let’s take a morning to set the table for the event of this off-season: the resetting of the quarterback market in the NFL. The future of Tony Romo is the most compelling story of all. He’ll be 37 in April. He’s missed 27 of his last 32 games due to injury, and by the time he’d suit up for anyone next September (if he does, and we’ll get to that), Romo will have played one series of football in 21 months. 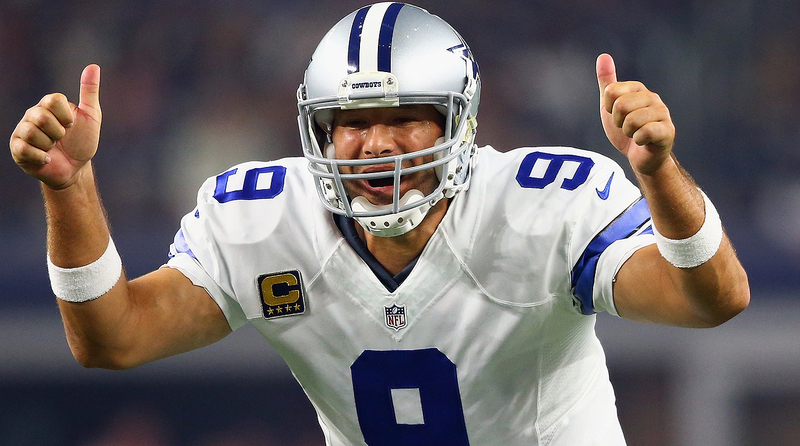 Of course the question is: How do you count on Romo at all? But some team will, and rightfully so, because it’s a good gamble. It’s not a good gamble for a lot of guaranteed money, but Romo shouldn’t care about money at this stage. He should care about the opportunity he’s always wanted—to take a team deep into the playoffs, which he might well have done last year but for the Cliff Avril hit/awkward fall in the preseason game at Seattle that KO’d Romo with another back injury for all but one offensive series of 2016. Let’s line up the pool of players, and the needy teams, and try to forecast who’s going where—or at least give you a best guess. 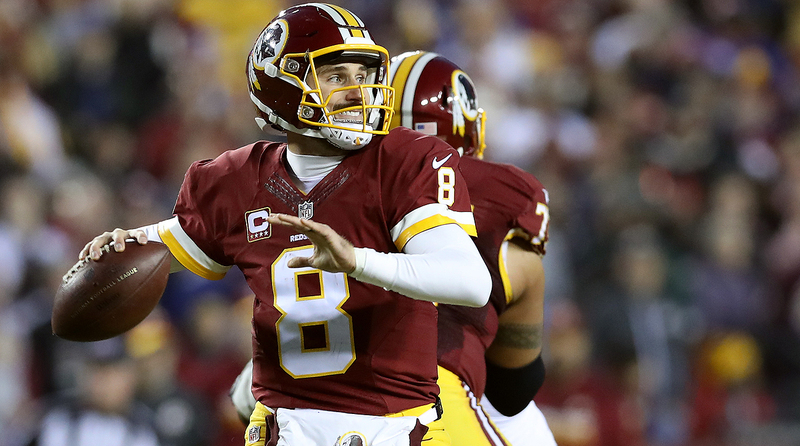 Kirk Cousins started all 32 games for Washington in 2015 and 2016, going 17-14-1. I am stunned that Washington GM Scot McCloughan could pay Cousins the whopper franchise number of $24 million a year, particularly when there’s a sense the franchise likes him a lot but isn’t sold on him. But what’s the alternative? If Washington doesn’t franchise him, San Francisco coach Kyle Shanahan steals him. The Niners still could still get Cousins after being franchised—and after the draft—by signing him and hoping Washington doesn’t match but rather takes the 49ers’ first-round picks in 2018 and 2019. (If not franchised and signed before the draft, Cousins would fetch a team’s 2017 and 2018 first-rounders, trouble because San Francisco owns the second overall pick in April.) Washington blanches at the thought of paying Cousins $44 million over 2016 and 2017, but it’s more likely than not to happen. The alternative, losing Cousins and not having a remotely sure thing in the wings, is worse. The Garoppolo story will be fun to see play out, and I’m in the minority here, but I don’t see the Patriots trading him. He’s the first legit heir to Tom Brady that the franchise has had. Brady’s going to be 40 in August. Bill Belichick has never been a slave to high picks. I just think he’d rather have the insurance of Garoppolo with Brady in the saddle at 40. Cleveland and Chicago like Garoppolo, and I’d be surprised if Shanahan doesn’t. … More about Romo later, but Houston and Kansas City look like the best landing spots for him, with a contract befitting an old quarterback with a long injury history. … McCarron wants to play somewhere, and he knows that Andy Dalton (three starts missed in six seasons) isn’t giving up the chair. He could be an interesting fallback guy for, say, Chicago if the Bears flunk out on their two or three top choices. … Cutler? I’m not going to be shocked if he ends up in Arizona. … There’s a risk to everyone else, but Glennon could get paid somewhere. I would just remind those GMs on the Glennon trail to study the lesson of the last tall mostly benchwarmer to get irrationally paid. And see where Brock Osweiler is right now. I’d hate to be in the seats of Hue Jackson and Sashi Brown in Cleveland, or Shanahan and rookie GM John Lynch in San Francisco, or GM Ryan Pace in Chicago. Trubisky started one year and looked good, but a one-year starter in college football who had some clunkers in that season? Tough call … Kizer is more seasoned. Watson has been better in the biggest games. Mahomes might have the biggest upside. The combine’s going to be very interesting, because it’ll start the clock on the test of a huge-game player like Watson, with people in and out of the NFL putting him to the test to see exactly what he is, on and off the field. 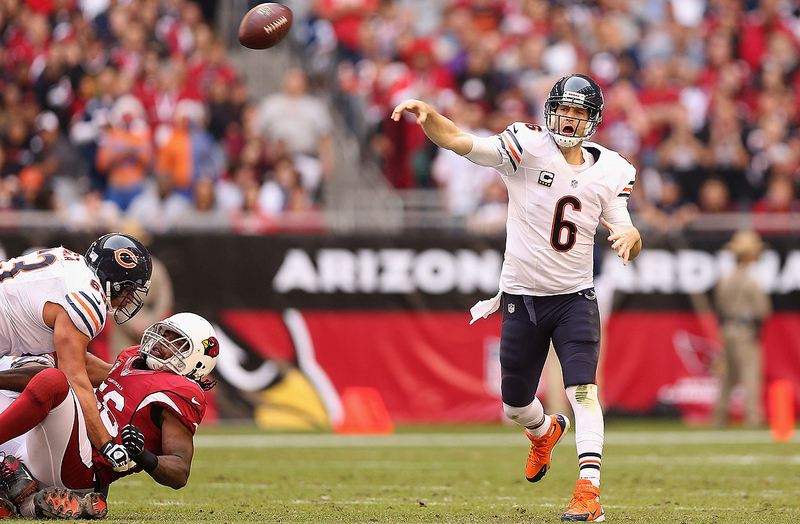 If Chicago parts ways with Jay Cutler, Arizona might be a good landing spot. • Cleveland (1st, 12th picks in the first round). The Browns have to get a quarterback this off-season, and the quarterback can’t be an RG3-type placeholder or a Cody Kessler-shot-in-the-dark guess. I’m guessing the Browns inquire on Garoppolo and get rebuffed—unless they offer the 12th overall pick plus another high pick. At this stage, the Browns lead the league in high picks acquired, and it’s gotten them to the bottom of the league. Now it’s time to pay through the nose if there’s a quarterback Jackson loves. Then we come to the college guys. If Trubisky’s the guy, just take him first overall, as crazy as it sounds. But if Jackson is lukewarm on the top collegians, he likes McCarron a lot (he coached him as a Bengal rookie), and can fall back on him. He’ll just have to overpay, because Cincinnati owner Mike Brown does not want to trade him. The Browns have the 33rd, 51st and 65th picks to play with if McCarron’s their man. • San Francisco (2nd pick in the first round). Too dangerous to predict. Shanahan’s been a head coach for 15 minutes and John Lynch a GM for 25. But I do feel it’s likely Shanahan will let Colin Kaepernick walk, do everything he can to try to figure a way to wrangle Cousins from Washington and then, if that fails, study the college quarterbacks and find the one who fits his system the best. I’d just be guessing what the outcome is here. • Chicago (3rd pick in the first round). This just looks like Trubisky or Kizer to me, or maybe Mahomes in the second round, or as a late-first-round trade-up. The Bears need to start over, as does Cutler. • New York Jets (6th pick in the first round). There’s been zero positive buzz out of the Jets on last year’s newest heir to the Namath throne, Christian Hackenberg. He never came close to even getting in a game last season, as though the Jets were afraid to shatter the kid. I think the Jets would seriously consider Mike Glennon or Tyrod Taylor (if the Bills cuts him loose, which could be an 11th-hour call). Cutler was new QB coach Jeremy Bates’ pupil in Chicago, and the two are close, but it sounds like the Jets don’t want to go with the dour Bear. Whatever the Jets do, they’re as far from identifying and training and winning with a quarterback of the future as they’ve been for years. • Arizona (13th pick in the first round). Name the counter-culture coach who likes to take shots on guys hated by lots of down-the-middle coaches and GMs, who is the biggest proponent of the deep ball of any coach in football, and who may need said deep ball thrower because his quarterback turns 38 this year. I think I just made a Bruce Arians-Jay Cutler marriage—and Arizona can wait until the Bears cut him and sign Cutler for two years and incentives. This doesn’t mean Arizona won’t aggressively scout college kids though. Given his druthers, Houston coach Bill O’Brien would likely rather have Garoppolo, a long-termer with a grounding in the tough, Patriot Way coaching he’d get under O’Brien. And the buzz around the team is that Savage will have every opportunity to win the job. The 2017 season will be O’Brien’s fourth. He’s made the playoffs twice in three seasons, with Brian Hoyer and Brock Osweiler his forgettable quarterbacks, and O’Brien knows this is a vital year for him and for his program. With Romo, O’Brien would have the veteran winner he’s longed for—and a coachable one. And if Romo got hurt, he’d have Savage. Seeing that he’s thought all along Savage would probably be his guy this year, why not upgrade there? Romo’s druthers, I think, would be to stay in Texas. Houston’s a 40-minute private-plane ride from Dallas. Kansas City’s double that. Romo’s got his third child on the way and loves the Dad life. Houston, being significantly closer, makes more sense—and that’s even before considering that the Texans’ defense and skill players are very good. And considering that J.J. Watt’s return in 2017 might make the defense untouchable, though Watt’s health makes that impossible to predict. Then again, Romo’s health is impossible to predict. But I’ve said this since the end of the season: Houston makes the most sense for Romo. Now smart football people, and a quarterback determined to have his one last hurrah in a place where he knows he can win, have to make that happen. 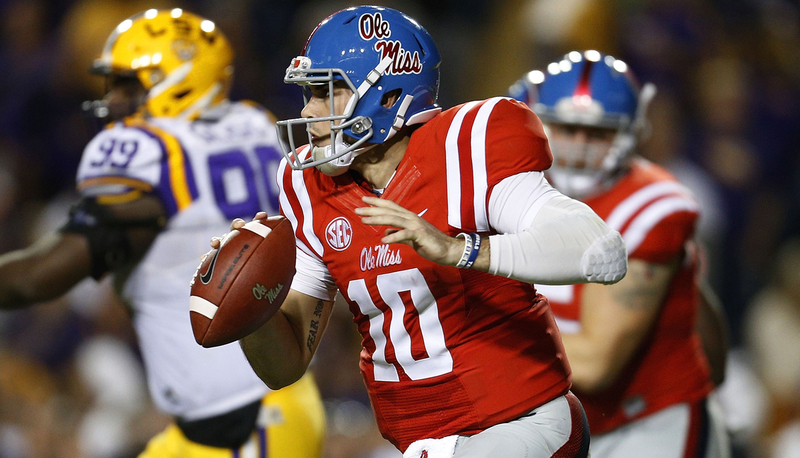 Ole Miss quarterback Chad Kelly, nephew of Bills legend Jim Kelly, was not invited to the NFL combine. 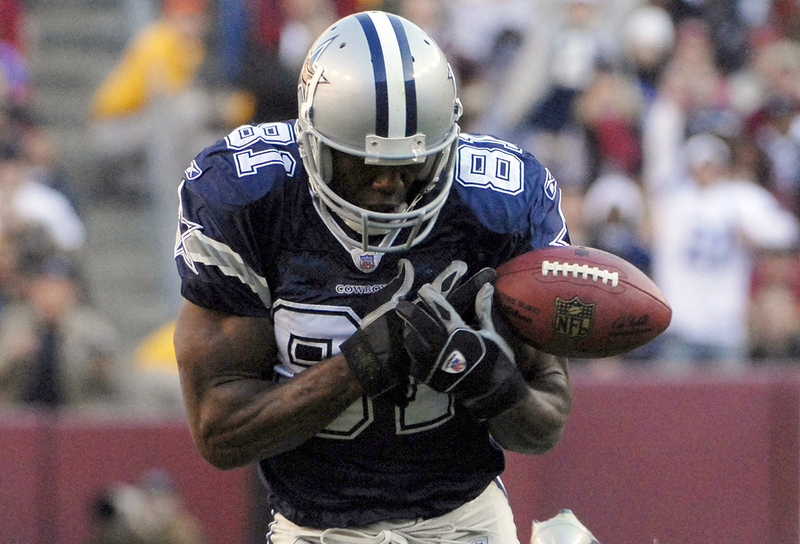 Terrell Owens ranks eighth on the NFL career receptions list, but it’s his drops that have gained attention in the wake of the Hall of Fame voting. It is also fair to note that Owens, in a three-year run between 1997 and 1999, had only 15 drops according to Stats Inc., while making 187 catches, in Stats Inc. numbers cited by Smith. Between 1997 and 1999, Owens was targeted 305 times. In 2006 through 2008, he was targeted 431 times. So there’s more potential for drops when quarterbacks throw the ball your way 9.2 times per game (2006-08) than if they throw it to you 6.5 times per games, as in 1997 through ’99. Still, he clearly got worse as his career went on in holding onto the ball. 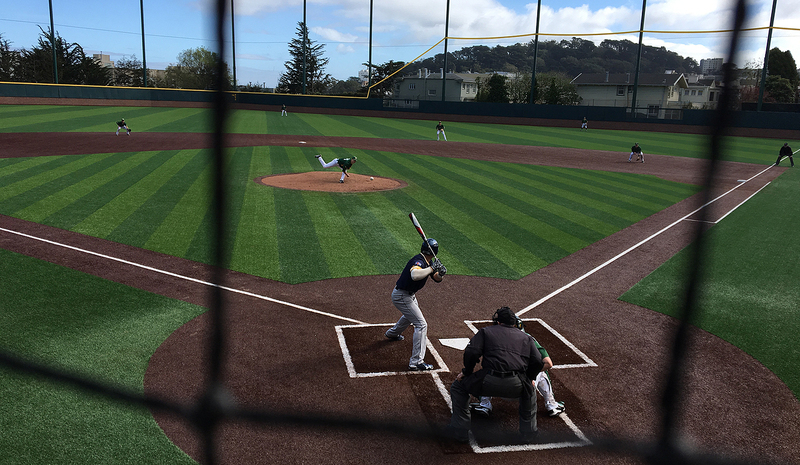 The University of San Francisco hosted Northern Colorado at Benedetti Diamond to open the college baseball season. • I ran the track inside Kezar Stadium. The 49ers’ old home field is in a busy part of town, on the edge of lovely Golden Gate Park. The former field of John Brodie is used for community and high school events now, and there was one high school track team and some Special Olympic athletes using it Saturday morning. • I saw my first baseball game of the year. On a breezy 58-degree afternoon, my wife and I watched five innings of Northern Colorado-University of San Francisco, in the opening series of the year. A bonus: They served Pinot Noir and Pinot Grigio there—and peanuts. Quite a pleasant neighborhood surprise. And we saw Raiders PR czar Will Kiss and his son there. Will’s a USF alum. Beautiful diamond in the middle of the city. • I walked my grandson up Twin Peaks. I pushed Freddy King in a stroller most of the way up the daunting peak of the city. The wind was maybe 30 mph, steady, at the top, but well worth it. A great walk and workout. What does one do, when there is nothing to do ? You don't feel any different in the fourth quarter of these two games then? 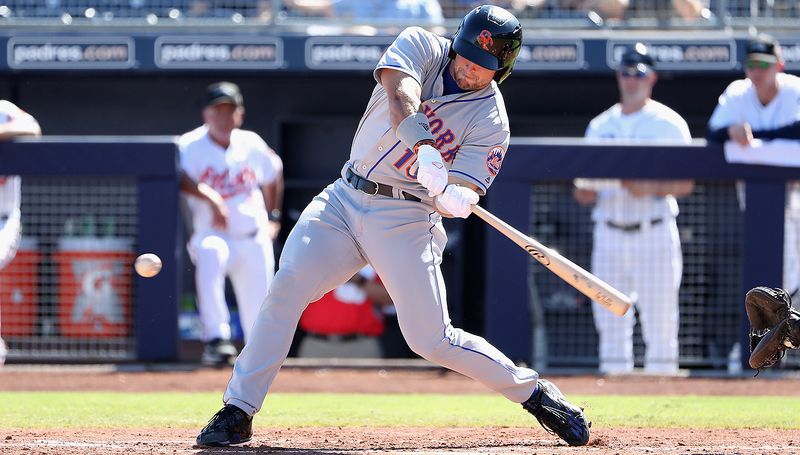 Tim Tebow played in the Arizona Fall League and will be with the Mets organization during spring training in Florida. 2. I think Darrelle Revis has given the Jets the easiest out of a big contract and a big headache of this off-season. But I would be very careful about passing judgment on the guilt or innocence of Revis, who has never sniffed trouble like this before. Revis surrendered Friday to Pittsburgh police on charges of felony assault and robbery, stemming from a street altercation last weekend. Late Sunday, TMZ released video of the aftermath of the incident that shows the two victims knocked out. Revis does not appear in the video, and his lawyers have denied that it is his voice heard on the video or that he knocked anyone out. 3. I think Adrian Peterson has more left than Emmitt Smith had when Smith left Dallas to play two final seasons in Arizona. Smith was 34 entering the Arizona phase of his life. Peterson will be 32 when he takes the field, somewhere, for the 2017 season; he’s well-preserved, having played just 20 games in the past three years, but he also just had a year with 37 carries for 1.9 yards per attempt. The Vikings are going to have a tough time getting him to take a pay cut. But buyer beware. I like Peterson—a lot. But I’m not crazy about paying big money to a back who just missed 13 games at 31 with a knee injury. 4. I think it’s that time of year, when visits by a free-agent defensive tackle (Earl Mitchell) made headlines in three different NFL markets Friday and Saturday. Mitchell turns 30 in September. He weighs 310 pounds. He is, at best, a rotational defensive tackle. So tread cautiously when you see a headline about this valuable tackle on the street that your team might steal before unrestricted free-agency begins. Not to be down on Mitchell at all. But the man averaged 19 plays a game last year. Set your expectations wisely, as you should for every free agent on the street before the free market opens on March 9. 5. I think there was no need to move the combine back one week (workouts will be March 3-6 now, in Indianapolis), and it flies in the face of the NFL’s attempt to make the NFL a 24/7/365 venture. The league used to have eight or nine days between the combine and unrestricted free agency, a time the media would digest the combine and start to puff up free agency. Now free agency will start, essentially, immediately after the combine, seeing that agents and teams all but make deals before the start of free agency (on Thursday, March 9, this year). Doesn’t make a lot of sense to me. 6. I think, just as I didn’t like Miami’s addition of pass-rusher Mario Williams (who isn’t passionate enough about football) last year, I love the recommitment of the Dolphins to pass-rusher Cameron Wake (who is mega-passionate about football). They signed Wake, 35, to a contract extension that guarantees him $9 million in the next two years and a total of $18 million over that same time. Wake proved he still has disruptive burst in 2016, getting 11.5 sacks coming off Achilles surgery. It’s more than that; Miami coach Adam Gase learned last season that whatever Wake has to give, he’s going to give it every day. 7. I think if you let Tony Romo go, Jerry Jones, you’ll have a few backup options, to be sure. The one call I’d absolutely, positively make would be to Josh McCown. Make him your number three, deactivate him most weeks (if not all), and watch him help Dak Prescott get better, without a shred of ego.